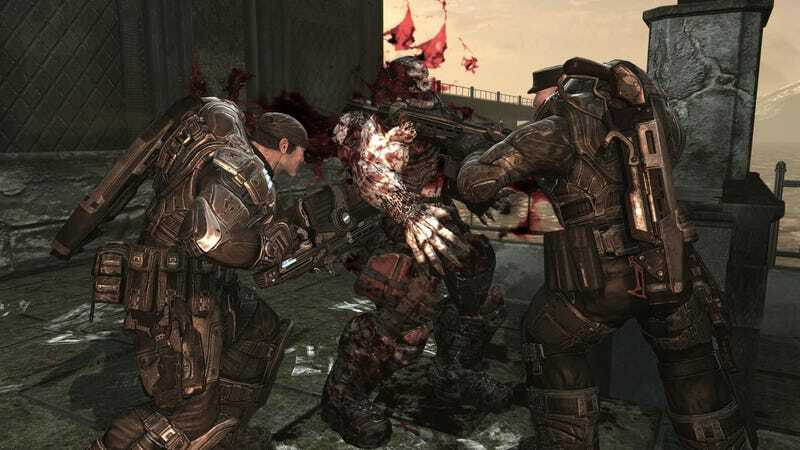 A 14-year-old admitted to slashing a 13-year-old's throat in an assault Scottish authorities blamed on a soured online friendship developed over Gears of War. Of course the game itself is blamed but when the 14-year-old already is a father, you're not talking about someone with good decision-making and impulse control. The Daily Mail is all over this one, so, caveat reader, but prosecutors and police officials, in statements, pin this one on Gears of War 3. "The reporting officer was of the opinion that the violent video games played online by the accused may have been a factor in his conduct," the prosecutor told the court. "These games are rated 18 and shouldn’t be played by children of this young age —but online gaming may be outside their parents’ knowledge," the chairman of the Scottish Police Federation said. "We need to look again at what we can do to stop this." At the trial, prosecutors said the two met online around Christmas 2011 and played Gears of War 3 together. Later they met in person. But then the friendship devolved to "name-calling via the messaging system used in the game." In a chance meeting in April 2012, the older boy slashed the younger's throat so deeply it exposed his windpipe. "Then," says the Mail, "in a scene reminiscent of violent video games, the accused sneered at his victim: 'Don't die,' before calmly walking off." It's a scene reminiscent of a 1980s action movie, too, but I don't see anyone blaming Commando. The accused, now 16, faces being locked up, though for how long is not said.